This is It!! The most awesome place you'll find in the Cedar City area, located just 15 minutes west of town. Our Mountain Paradise is especially quiet, quaint and cozy, as well as, a place you can make a little extra noise if you want. Tucked away in the foothills on 3-acres of fun, you can head out for a hike or stay put for days enjoying miles of mountain views from the comfort of the couches or while laying in the hammock. How about a short trip up to Brian Head Resort for a fun day of skiing or head over to hike Beautiful Bryce and Zion National Parks just a short hour away. Upon arriving home, throw some wood in the outdoor fire pit, roast some marshmallows, or just kick back in the 8-person Jacuzzi. If that’s not enough, there are many other activities just minutes away. Our 2-story, 4,300 sf. home is very warm and charming to the senses and ideal for a small family or large groups. This 6br/3ba home includes 2 master bedrooms, 2 living areas, a game room w/pool table and air hockey. The 3-acres of property offers a perfect setting for weddings, reunions, church retreats, and just about any kind of gathering you desire. You'll find plenty of parking for all kinds of vehicles and an RV hook-up, as well. Roads are user friendly to all 2- and 4-wheel drives. We look forward to seeing you all in the future. Come and enjoy all the warmth our place has to offer. We know you'll love it and want to come back again, like so many others do. The living room has a picture window that looks out over the Mountains, beautiful views all day long! Home is cooled by water cooler system. No need for AC. We have two units, one in the back and one in the front. Central Heating, in addition to Wood Stove and Pellet Stove. All Linens needed are provided - all the beds are made with sheets and comforters, additional sheet and blankets and pillows provided. Heats the entire house in the winter months, Pellet stove int he Game room. Wide range of spices and some condiments in the frig. Game Room with Pool Table, Air Hockey, Darts, Game Table, TV and Couches Additional Outdoor Activities: Pool, Hot Tub, Horseshoe Pit, Jungle Gym, Shooting Range, Sled Run for snow days. This is a wonderful property!! Close enough to make a run to town if needed, but far enough away to make It a great family getaway! Enjoyed the hot tub after hiking at Zion and Bryce. Close enough to enjoy a day at Brian Head skiiing. Close enough to fly into Las Vegas for a less expensive airfare. Would highly recommend this property. Tons of room in the house for everyone. Would love to stay here again in the summer and see Bryce national park without the snow. Secluded, spacious, and well kept! Great place with multiple BBQ grills, Jacuzzi and sledding run. If you are looking for a cozy place away from it all, this is it! Let down your hair and just relax. My family (15 of us) enjoyed the large, open, informal space and the comfy beds! The kids spent most of their time in the game room, which had plenty to keep them occupied. It is a nice space in a beautiful setting! We will come back for the Shakespearean Festival! The house is beautiful and if you’re going to enjoy the canyons, this is the place to stay. Upon entering the home I felt the spirit of love and gentleness, and it was perfect for my family that came from Michigan, Colorado, California and Arizona. Utah is a beautiful state and we had a wonderful time. The house was perfect, and I would recommend it for any large gathering. The outdoors, all the amenities, It was just fantastic! Thank you Bob and Dawn for being gracious hosts and sharing your beautiful home. 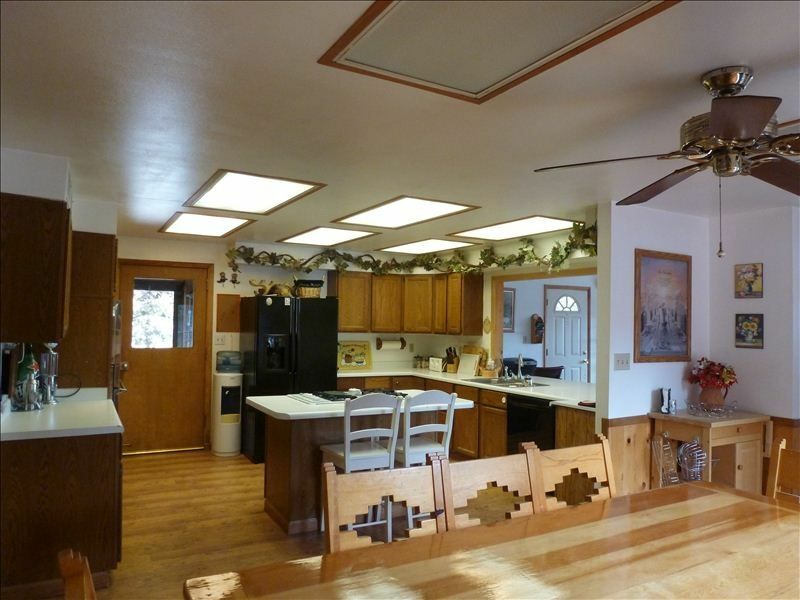 Our Home is the perfect location to all the nearby attractions such as; Shakespeare Festival, Zion & Bryce national parks, Historical sites, lakes, Reservoirs, Skiing, Hiking, ATV, and Equestrian trails everywhere. Inquire about our Pet fee. Rates are subject to change until reservation is confirmed. Groups from one person to ten people pay this same price, which allows us to keep our nightly rate low. When we get larger groups we charge a little extra (never the full $10/person) to cover additional utilities, supplies, water, etc, used by larger groups. Please inquire to receive an accurate quote to rent our home for your stay.